2016 has been full of brilliant rock and metal album releases from so many bands! A great selection of new albums have been featured on Blackdiamond’s Metal Mayhem through the year, so from these I have compiled my ultimate favourites. They are all epic bands and artists in their own right, please take the time to check them out from the clips below if you haven’t heard any of them. It was difficult to choose only 10 as there’s been an abudance of brilliant new albums this year, but it had to be done! Also, many thanks to the staff at all the record and PR companies the show is associated with and of course, the bands! This entry was posted in Radio Shows and tagged Blackdiamond's Metal Mayhem, Top 10 Albums Of 2016, TotalRock. Bookmark the permalink. 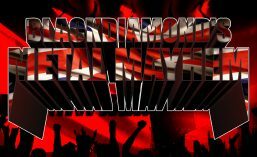 ← Play List: Blackdiamond’s Metal Christmas Mayhem Last Show Of 2016!